The Aces feature a large core, rounded outer lips, and are poured in our original urethane, giving them an exceptionally smooth transition from grip to slide and lightning fast roll speed. The Aces are centre-set and perfect for throwing big slides without loosing too much pace. With a stone ground finish, they are ready to be enjoyed straight from the packet! 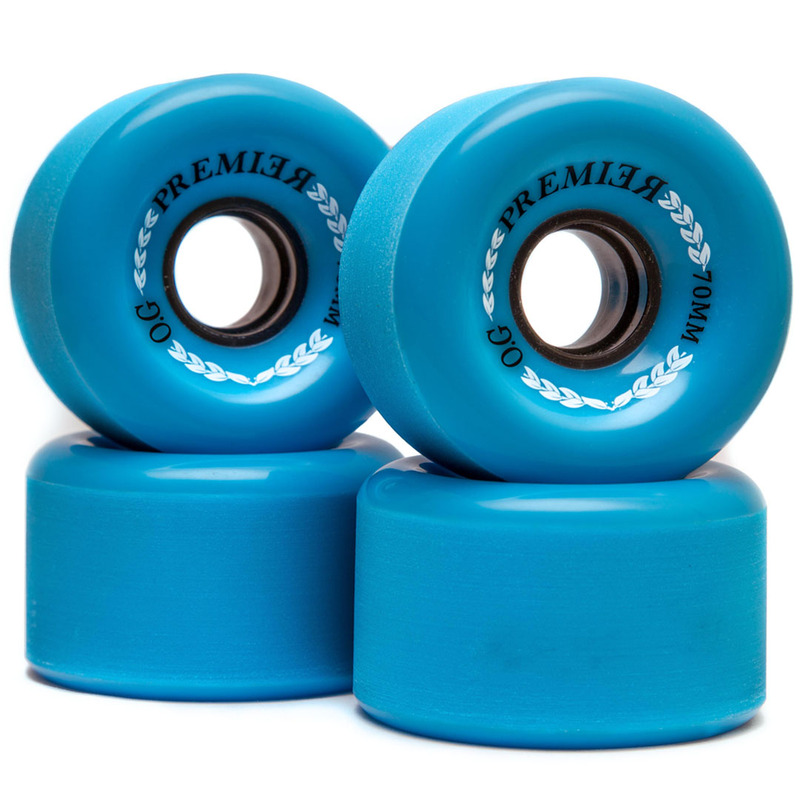 The Original formula Blue series are our cream of the crop freeride wheels – an unreal riding experience. Poured in a new high quality urethane mixture, the original formula Blue Series are made to last and perform. With next-gen freeriding in mind, every aspect of the design of these wheels has been tweaked to ensure the most enjoyable ride possible. The combination of large rounded lips, offset core and chalky smooth urethane make for effortless slides and progression. Further, they come stone ground and they won’t kill your wallet! Click below for more info. Pushing freeride limits is exactly what our wheels are designed for. Check out this amazing video of local skater Rob Laing beating the previous record by a whole 20ft! Rob rides a lifelong Seeker with Buzzed Trucks and Premier Blue series freeride wheels.